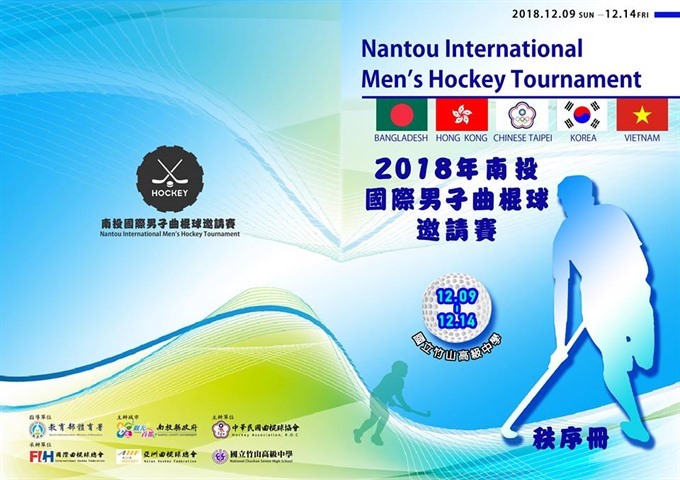 HÀ NỘI — Việt Nam’s national hockey team will compete at the Nantou International Men’s Hockey Tournament in Chinese Taipei from December 9-14. The 16-strong team includes 14 players aged 19-23. Việt Nam will compete alongside the hosts Chinese Taipei, South Korea, Hong Kong and Bangladesh. “This event will give Vietnamese hockey players the opportunity to gain experience while playing against stronger Asian hockey playing nations. Besides, it implements the Việt Nam Hockey Federation (VHF)’s development plan to organise overseas events that can attract and grow the number of potential national hockey players in the country,” said James Chew, manager of the Việt Nam hockey squad and CEO of VHF. The team will be coached by Huỳnh Đại Phúc, who is the only qualified national hockey coach in Việt Nam.